On 31 March 2019, the al-Sabbagh family was handed an eviction notice by the Execution Office in Jerusalem following a painful and protracted legal battle the family made to remain in their home in Sheikh Jarrah. The family is still trying to postpone the eviction through appealing to the courts, but the chances to win are quite low. According to the notice handed today the eviction could be implemented any time between April 28 and May 8. 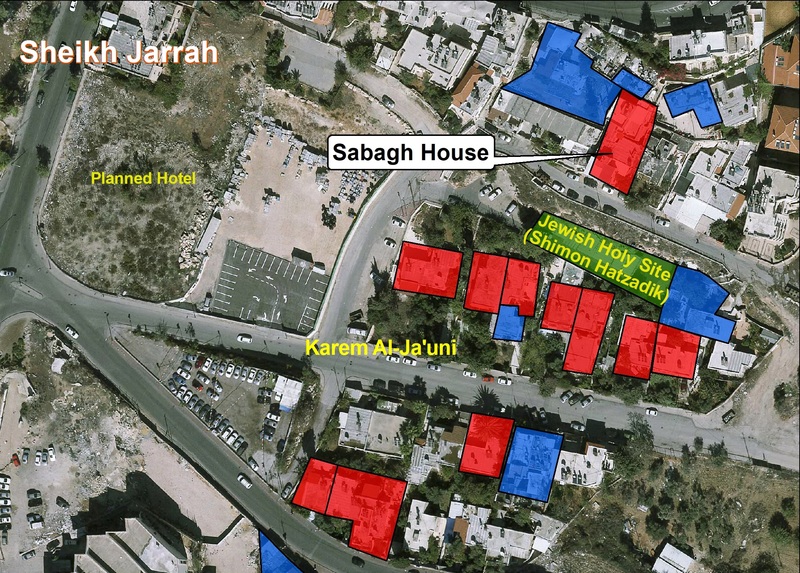 Click here to read the full briefing by Peace Now and Ir Amim on the al-Sabbagh family. Dozens of families are facing similar eviction suits across Sheikh Jarrah, Batan al-Hawa and elsewhere in East Jerusalem at the hands of right-wing organizations bent on replacing Palestinians with Jewish settlers for the purpose of changing the demographic landscape in an area slated to be the future Palestinian capital. The means the evictions are based on a manipulative double standard whereby settler groups exploit Jewish right of return laws to claim ownership of houses in Palestinian Jerusalem neighborhoods, while Palestinian residents in East Jerusalem are not entitled to seek to reclaim properties lost in the 1948 War. The al-Sabbagh family stands to be the 10th family in the Kerem Al-Ja’uni section of Sheikh Jarrah to be evicted from a house they have lived in for decades in return for having conceded their refugee status.